Now just give voice instructions through your Amazon Echo Dot and Roomba gets to vacuuming your floors. As simple as this - Alexa! Ask Roomba to start cleaning. 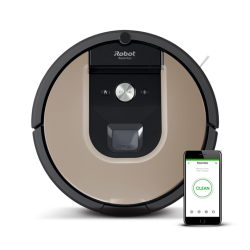 iRobot Roomba® 966 seamlessly navigates an entire level of your home, keeping track of its location and recharging as needed until the job is done. 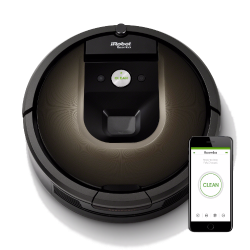 The AeroForce® 3-Stage Cleaning System provides up to 5x the air power with the Gen 2 motor for lower maintenance and improved cleaning performance, * and with the iRobot HOME App you can clean and schedule on the go.